Sleeping bags in summer? If you’re a baby, then the answer is yes! Read on to discover which sleeping bags get our tick of approval for comfortable snoozing on balmy nights. My youngest son is two-and-a-half and still sleeps in a sleeping bag. It’s become his comforter, and he instantly calms down and settles in for a snooze as soon as he’s wearing it. So, I’m obviously an advocate for using sleeping bags for babies and children. But there does come a time in the year when sleeping bags need to be appropriate for warmer weather. Here’s a round up of our favourites. The ergoPouch one TOG baby sleeping bag is perfect for summer, with its inner layer of bamboo fleece, and bright new spring/summer colours. The Love to INVENTA Sleep Bag is a revolution, allowing parents to regulate their baby’s temperature through breathable mesh ventilation. 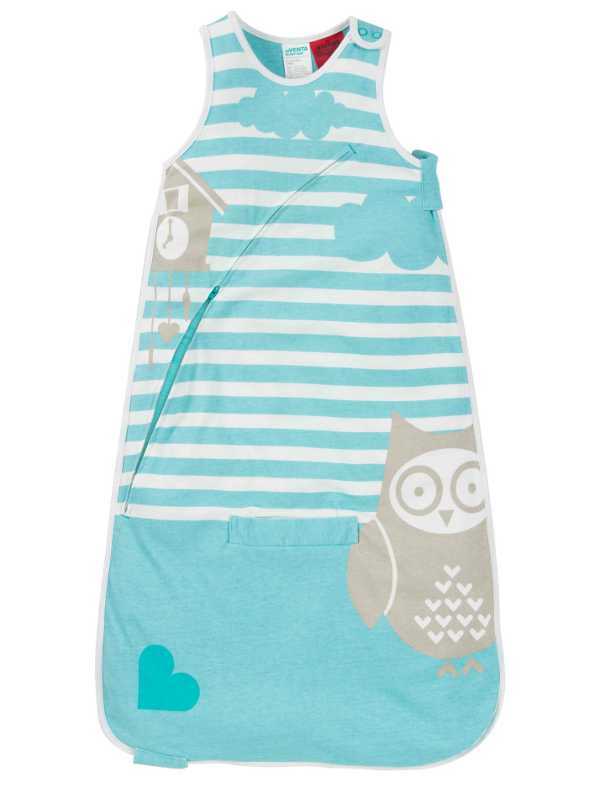 Wee Dreams has some gorgeous sleeping bags, and the lighter weight option are great for summer. A sleeping bag round up wouldn’t be complete with a mention of Grobag – and the day and night sets are a great idea to cover babies for all seasons. The day bag is generally for use when temperatures are warmer, so could also be used in summer, with the appropriate adjustment to the baby’s clothing. Please see the Sids and Kids guidelines on how to dress both baby and the cot for optimum safe sleeping conditions.